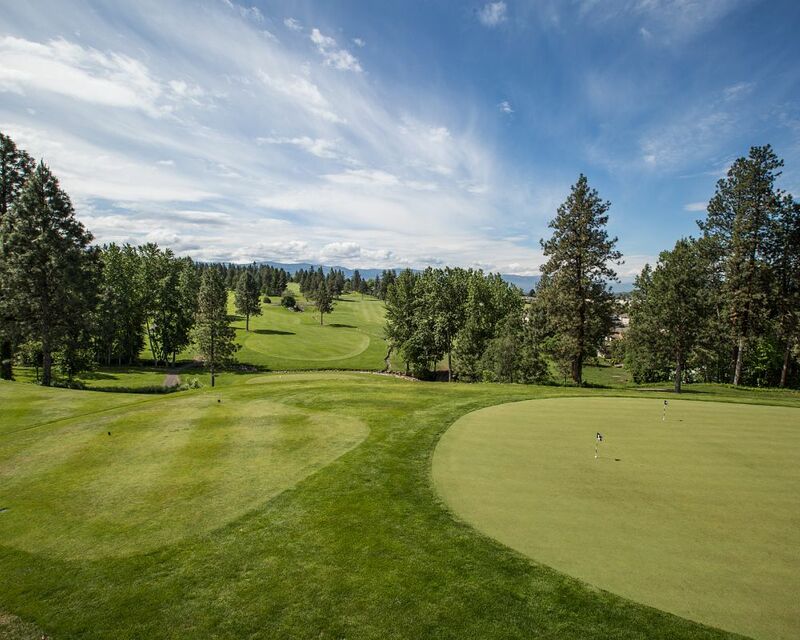 Stunning vistas, rolling terrain, and the ever-present Scotty Creek contribute to the beauty and challenge of this “must play” Kelowna golf course. Sunset Ranch Kelowna Golf Course was chosen by Golf Digest in the 2009 version of “Golf Digest’s Best Places to Play”, and voted “Finalist: Kelowna’s Best Golf Course 2011″ in Okanagan Life magazine and voted Finalist – Kelowna’s Best Golf Course- Best of Kelowna 2013! 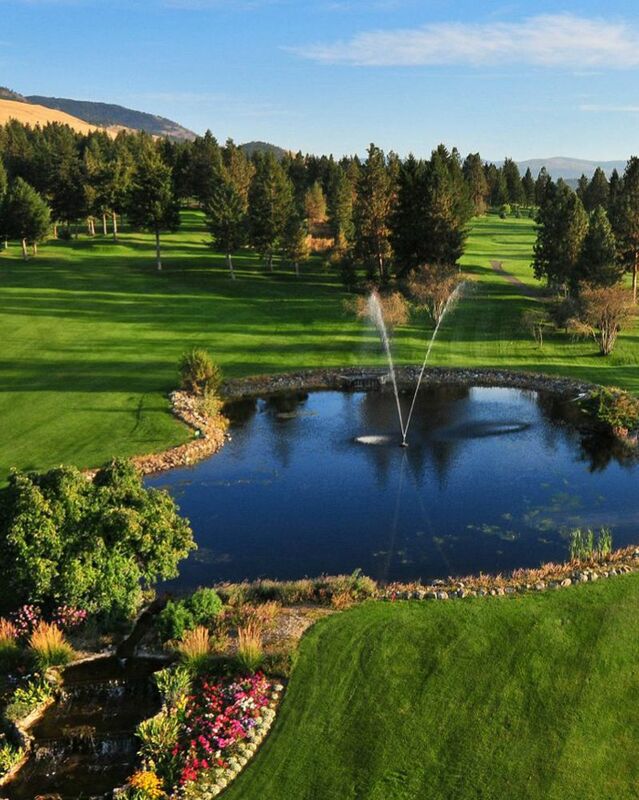 Sunset Ranch Golf & Country Club is therefore considered to be among the best courses in Okanagan golf. 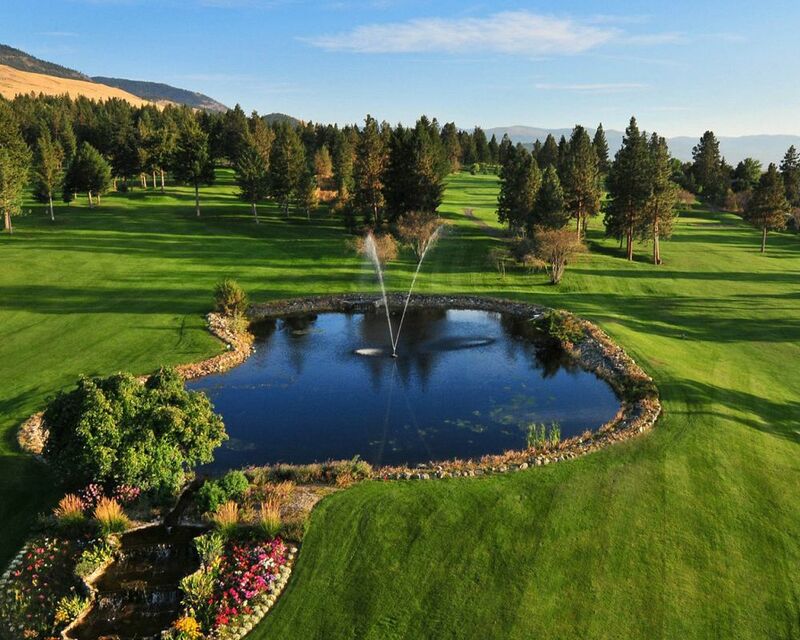 Conveniently located just minutes from the Kelowna BC International Airport, Sunset Ranch’s natural beauty is rivaled only by its exceptional course conditions and playability for golfers of all skill level. The beautiful Sunset Ranch Clubhouse consisting of 2 large patios, a 40 seat lounge, and a 120 seat Dining Room makes it the ideal location for your event. Our Culinary team have over 40 years of culinary experience, and are sure to please all patrons with their outstanding food quality and plate presentation. From Cocktail Parties to Buffet Dinners, the Sunset Ranch Food and Beverage Department can customize your event to add your own personal touch. The Sunset Dining Room offers first class menu selections in a relaxed and casual atmosphere. Our Culinary team uses only the freshest products and highest quality ingredients in the preparation of all dishes. Our knowledgeable serving staff will assist you in making sure your dining experience is perfect for you and your guests. Reservations are recommended in the Dining Room. 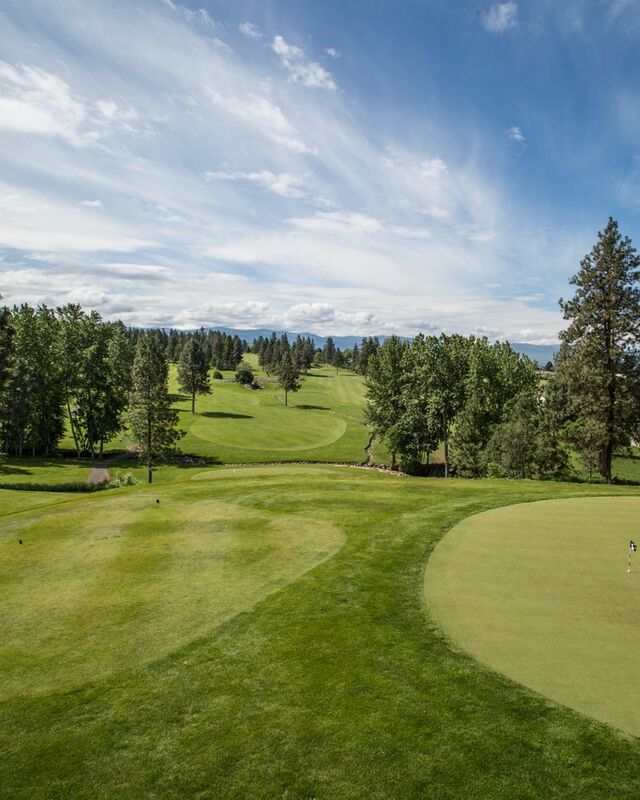 Stunning vistas, rolling terrain, and the ever-present Scotty Creek contribute to the beauty and challenge of this “must play”& Kelowna golf course. Come and enjoy Kelowna’s Best Value for Championship Golf! Our Sunset Lounge offers beautiful lake and valley views, with breakfast served seven days a week. Catch your favorite sports team on the big screens after a great day on the course.